Bernd Leno has been the Gunners' first-choice goalkeeper since the beginning of October and the German should retain his position between the sticks against the Blues. In the defence, manager Unai Emery has stuck with a three-man backline in the past few games and the Spaniard may go with the same this weekend with Laurent Koscielny, Sokratis Papastathopoulous and Shkodran Mustafi taking up the positions. In front of them, Hector Bellerin and Nacho Monreal are likely to make their maiden starts since recovering from their respective injuries. Bellerin and Monreal should take up the right and left wing-back positions which they were more familiar with under Arsene Wenger. Onto the midfield, Lucas Torreira could return to the starting lineup for the first time in the calendar year. In this case, Mateo Guendouzi appears the more likelier to make way for the Uruguayan to partner Granit Xhaka in the centre of the park. Further forward, Aaron Ramsey could earn another rare Premier League start alongside Alexandre Lacazette in the attack front after his impressive showing in the second half at West Ham United despite the club being on the losing side. 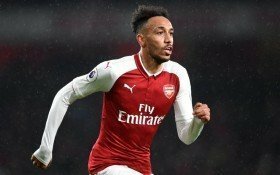 Upfront, Pierre-Emerick Aubameyang is very much assured to lead the line and he will be aiming to extend his 14-goal tally which currently sees him tied with Mohamed Salah and Harry Kane in the Premier League Golden Boot race.